Connecting computers or other equipment to a network requires adoption of some networking architecture or framework to create the connections. Among a variety of networking architectures, the point-to-point network is one of the simplest and most reliable. However, there are other networks that have disadvantages and advantages over the point-to-point network. Read on to learn about the basic network architectures and how they compare to point-to-point networks. There are four major network architectures besides point-to-point. For example, bus networks rely on a single line to which all nodes connect. All connections to the network rely on the ability to keep the bus online and functioning. The star network is a type of centralized network where all communications flow through a single, central node. Functionality of the star network relies on keeping the central node online. Notice that with the star network, malfunction of one of the non-central nodes does not affect connections for other nodes. 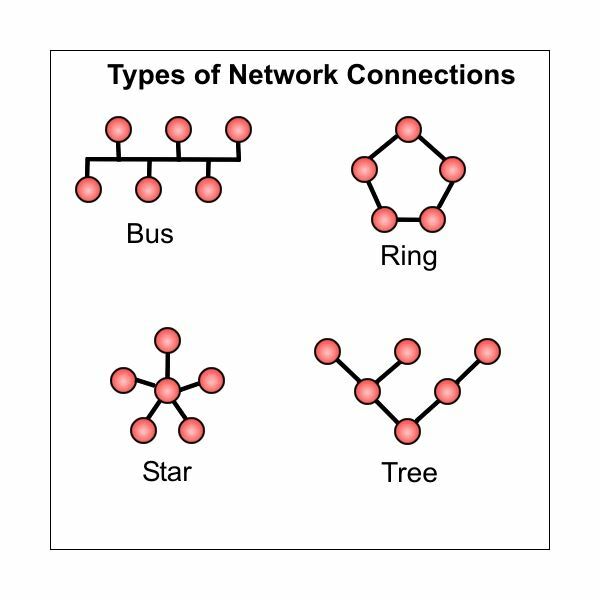 Ring networks create dependencies where connections to certain nodes require key nodes to be functioning. Except for nodes that are directly adjacent to one another, connections are dependent on other nodes. Notice, however, that every node has two paths to every other node. It’s these dependencies that also create redundancy increasing the likelihood that all connections can be made. As its name suggests, tree networks create branches that also create dependencies. However, tree networks have no redundancies. This is one of the cheapest networks to create because it is efficient but it lacks redundancies so connections are often dependent on multiple nodes functioning properly. 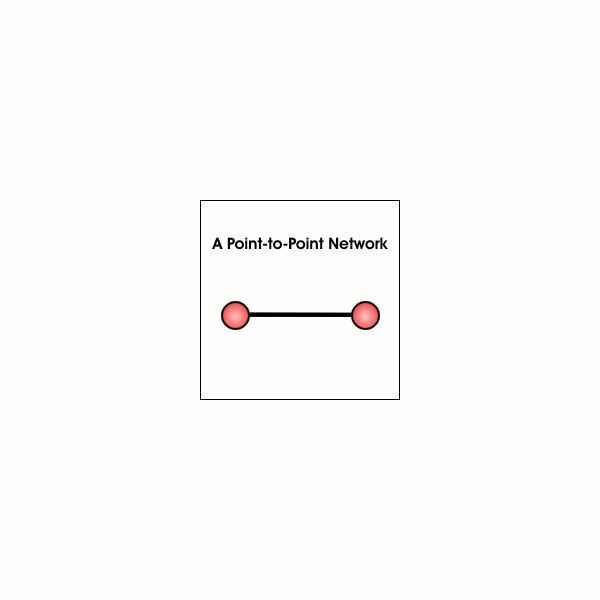 A point-to-point network is one of the simplest networks because it only involves two nodes. Each node is connected to the other with one connection line. This is one of the cheapest and most effective network architectures because it doesn’t involve the cost of redundancies and it doesn’t add the complexity of needing several nodes functioning to make a connection. However, the point-point network is impractical from a networking standpoint because rarely is only one connection between two nodes adequate. The point-to-point network can be compared to two soup cans connected by a string. Although there is nothing to interrupt the connection, there is no ability for the network to branch out and make more connections. A good example of a point-to-point network is a computer that is connected to a local printer by a USB cable. Although highly reliable, there is no way for either node to connect to anything else using that one USB connection. Also, without any redundancy, the entire connection is dependent on the USB cable as well. There is a variety of network types besides the point-to-point architecture. Although the simplest, point-to-point networks do not enjoy redundancy they do enjoy not having to rely on the functionality of other nodes to make a connection. Choosing the right network architecture is a matter of assessing the need for redundancy and the effect of having two or more connections dependent on node integrity.